Hiring a professional painting contractor to paint the interiors or exteriors of your home is important for a variety of reasons. 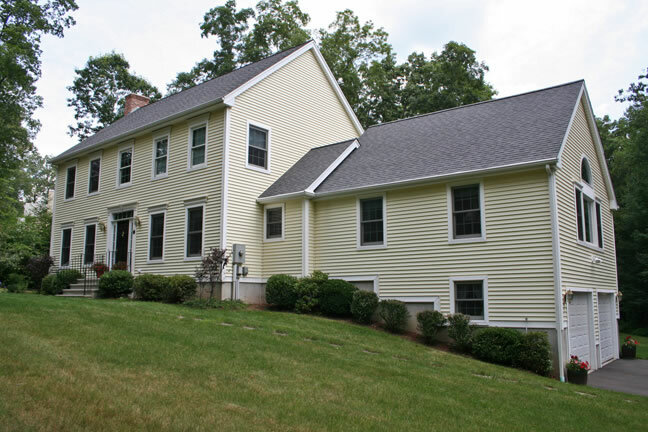 First and foremost, a fresh coat of paint applied by an experienced Connecticut painting contractor will enhance the visual appearance of your home as well as increase the curb appeal and market value. Beyond enhancing your property’s appearance, a painting contractor that utilizes high quality painting materials and proper application practices, will offer a layer of protection against harmful weather elements or UV rays. In this month’s article, the New London House Painters at DiNardo Painting offers advice to property owners, which will allow them to better understand when it is most appropriate time to apply a new coat of paint to the exterior or interior of their home or commercial facility. When you have noticed that the paint on the exterior of your home has become deteriorated or is morphing into a different color, it can have a very negative effect on its overall appearance. Many homeowners will put off painting their homes due to the fact that it can appear to be a very arduous task to take on themselves or they feel it may be too expensive to hire a professional painting contractor. Depending on your location, the type of material of your exterior, or the quality of the paint and application of your previous paint project, it is recommended that you repaint the exterior of your home every 5-10 years. A major factor in determining how often you should paint the exterior of your home will have to do with the materials of the exterior. The level of maintenance will vary depending on the material. Wooden Siding – Repaint every four to six years, or stain it every three years. Aluminum siding – Repaint every four to five years. Stucco – Repaint every six to seven years. Do you feel that it is time for a fresh coat of exterior paint on your residential or commercial property? If so, you can contact the New London Painting Contractors at DiNardo Painting for a no-cost consultation and estimate. We offer professional painting services at affordable prices.